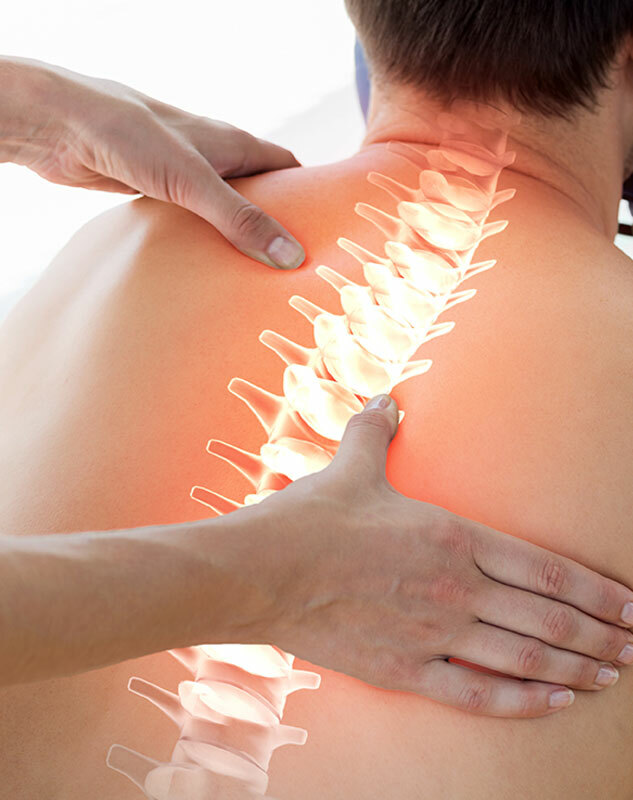 Chiropractic Care- The chiropractic adjustment is done by the use of the doctors hands or a special instrument assisted device. The high velocity, low amplitude manipulation helps restore proper range of motion in all spinal joints as well as different joints in the lower and upper extremities. Often times a popping noise may be heard which is caused by a release of gas within the joint. It is similar to when one cracks their knuckles. This is almost always painless and often times feels very relieving to the patient. The patient tends to have a sense of looseness within their joints and sometimes reports of feeling in a better mood. Spinal manipulation may also be performed with the use of flexion distraction technique. This technique is used with the assistance of the chiropractic table that allows the lower half of the body to be stretched out resulting in decompression of the vertebral discs and joints. The adjustment, however performed, allows for increased blood flow, decrease pain, and less nerve interference by decompressing the joint. Depending on the case and history the patient may be referred for imaging such as X-Ray, MRI, CT, or ultrasound. They also may be co-managed or referred to a physician that may be best suitable for their case if needed. Soft Tissue Technique- We use many different techniques for soft tissue work. Instrument Assisted Soft Tissue Mobilization (IASTM), manual therapy, and machine assisted soft tissue are just some of the ways we help stretch and loosen up stiff musculature. This allows for for more pliability of the musculature as well as increase in circulation and lymphatic flow. Functional Rehabilitation- After performing a thorough assessment we can strategically implement corrective exercises to facilitate healing of an injury as well as preventing an injury from occurring. A weak core, unstable joints, and dysfunctional movement patterns can all lead to injuries in sport and everyday life. The saying “Movement is life” is a code we live by. We pride ourselves as movement specialists at Third Coast Chiropractic and will be more than happy to make better movers out of each and everyone of of our patients. Some of the forms of the rehabilitation include McKenzie Method Diagnosis and Therapy (MDT). This powerful assessment tool is great for low back pain, neck pain, radiating pain such as sciatica and pain down the arm, as well as shoulder pain, hip pain, elbow pain, foot pain, and knee pain. Dynamic Neuromuscular Stabilization (DNS) is another form of therapy that we use to help stabilize an area that is weak. It is a method that is adapted from developmental kinesiology of how we innately learned to move properly when we were just an infant. It used by placing the patient in certain positions to get optimal utilization of all muscles and joints. This helps strengthen and recover from injury in a faster more efficient way. Acupuncture- Acupuncture is a type of medicine that has been around for thousands of years that started in China. It requires the use of small and thin acupuncture needles that are inserted in various points on the body in order to redistribute energy or qi. Most of the time the needles do not cause pain when they are inserted due to its small size. The placement of the needles allows for healing to occur and is also great for pain relieving effects. Today acupuncture is gaining lots of traction and even being performed in many hospitals nationwide because of its success. Dry Needling- Dry needling is a subset of acupuncture that uses fine acupuncture needles that are inserted in tight musculature known as “trigger points” or “knots”. The release of a trigger point allows for physiological relaxation of the muscle. This results in decreased pain and more flexibility to the area affected. In some instances, electrical stimulation can be used to cause sedation or tonification of a muscle. The outcome of this is to further decrease pain and is often used to treat patients with chronic pain conditions. Cupping- Cupping like acupuncture was also developed from traditional Chinese medicine. It requries the use of glass or plastic cups which are placed on certain parts of the skin and muscle where pain or tightness tends to be found. A suction is placed over the cup and creates a vacuum within the cup, this lifts the soft tissue and musculature underneath it. The effects include: increasing circulation, increasing lymphatic drainage, and decreasing pain. Cupping was the talk of this last Olympic Games in Rio when many athletes like Michael Phelps were seen with blue circles on their body. These blue circles may be one of the side effects after cupping is done, however it does not hurt while the patient is receiving the treatment or after. Functional Medicine- Functional medicine is a quickly emerging field of medicine due to its success and shift from traditional allopathic/pharmaceutical medicine. Functional medicine looks at your body as a whole and doesn't just treat the symptoms of your condition. It treats the cause based on life irritants which cause you to have your condition. It can help mange conditions including chronic pain, autoimmune, and overall general wellness. Through functional medicine, a comprehensive history is taken including looking at a persons' lifestyle and diet. Depending on the case, blood tests may be ordered as well as a food/chemical/toxin/allergen sensitivity panel. This high quality test can be the make it or break it to one’s condition due to a systemic inflammatory process. With elimination of any type of inflammatory markers it can help with healing of the disease process and give you back the quality of life you deserve. Nutritional modifications as well as natural vitamins and supplementation are a part of the process to live a healthier, well-balanced life. Kinesiology Tape- The tape of choice that we use is Rocktape. It is a type of kinesiology tape that is used for many different reasons. One of the reasons is to help with decrease pain. The tape lifts skin up from the muscle which helps to increase circulation and create better flow of lymphatic fluid. The tape is also used to support muscles that need to be braced or immobilized. This is great for athletes that are competing in their sport or practice. Many athletes from the Olympic games to the NBA use the tape to help enhance their performance. The tape can act as an extra muscle or ligament that allows for more support and aids in the healing process.